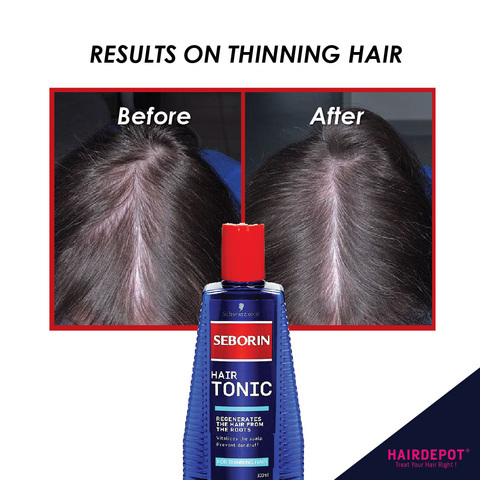 SCHWARZKOPF SEBORIN ACTIVE HAIR TONIC 300ML – HAIRDEPOT - Hair & Scalp Care Products, Prevent Hair Loss, Shampoo, Conditioner, Treatment, Styling, Appliances and more! 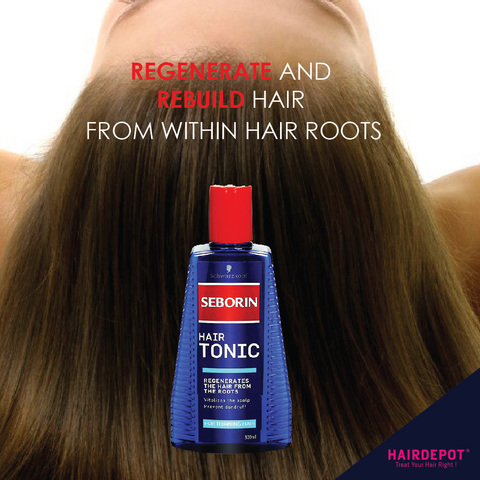 Regenerates the hair from the roots to the tip. 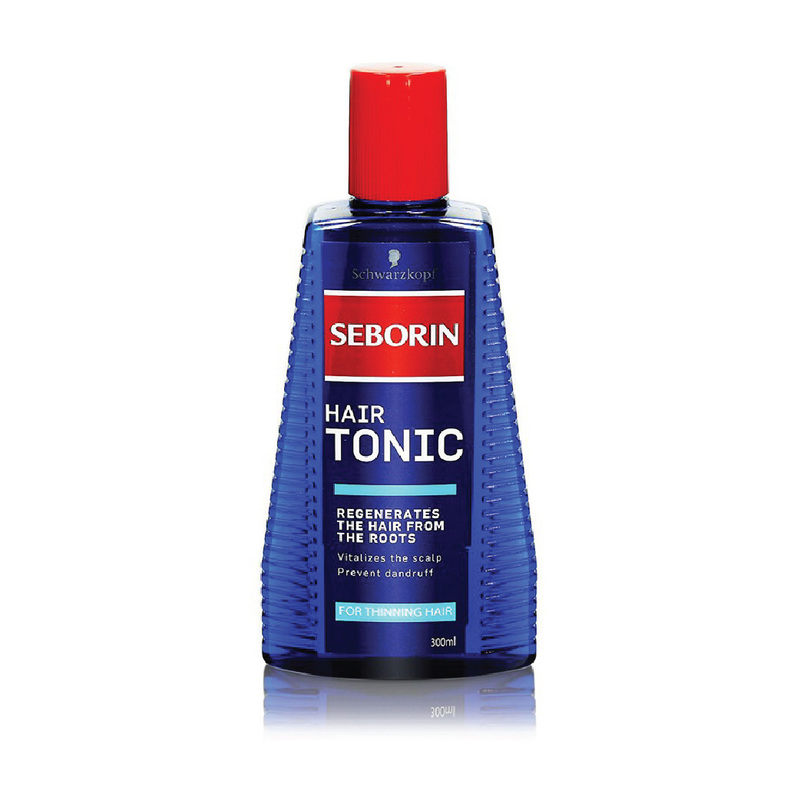 Pro-Vitamin B5 penetrates into the roots and hair and repair damaged hair from within. Ginger root extract vitalizes the scalp. The tickling sensation that may occur is the sign of the scalp take place. A healthy scalp is the basis for healthy, shiny and full fair. •Use daily on dry hair or on towel-dry hair after the hair wash.
•Gently massage in for 1 minute. 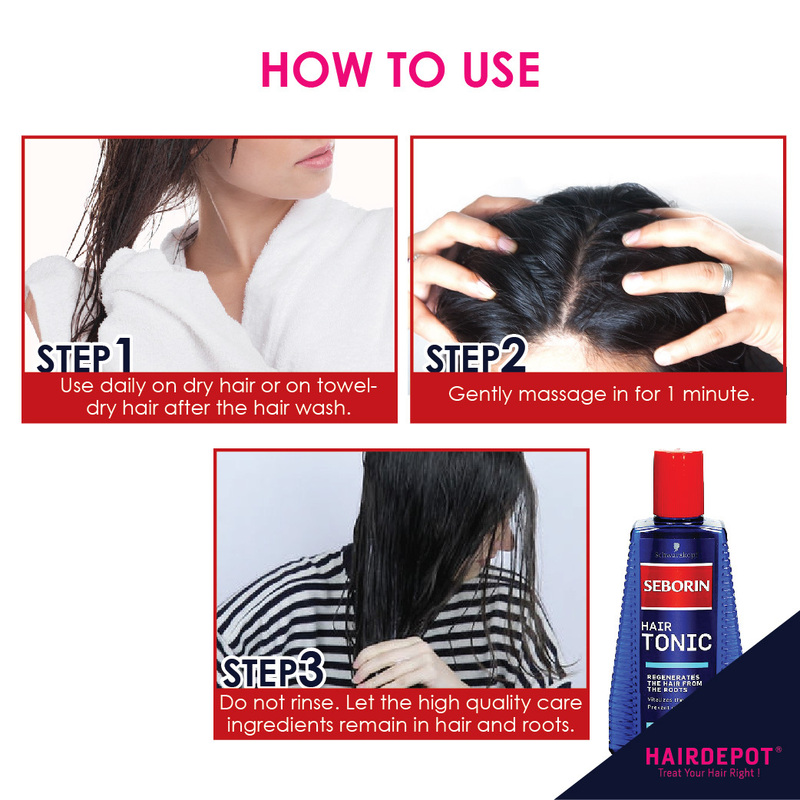 •Do not rinse your hair. Let the high quality care ingredients remain in hair and roots.